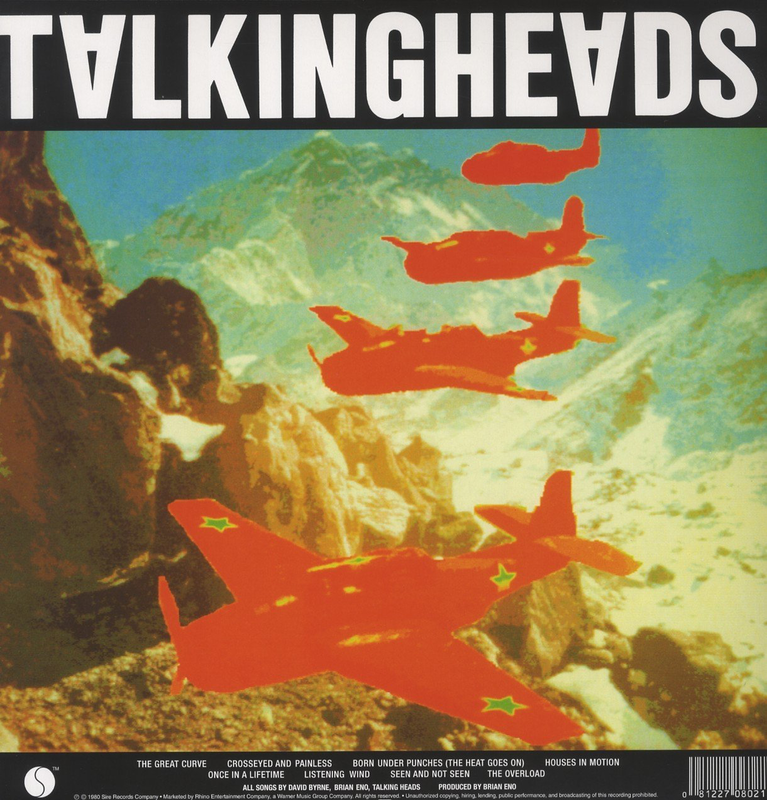 By 1980, Talking Heads were now in full tribal dance music meets quirky post-punk band mode and the trends that had crept into their second album and expanded upon considerably in “Fear Of Music” were now given freedom to roam all over this truly remarkable album. 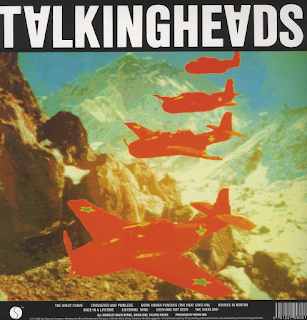 The old “side one” is a stimulating three-track masterpiece of disco/rock/funk where insistent, danceable tribal and Afro-Funk rhythms blend with searing lead guitar, female backing vocals, David Byrne’s bizarre lead vocals and Tina Weymouth’s excellent bass. It is difficult to find words to sum up the brilliance of these three extended tacks that sort of all join together in complete whole - “Born Under Punches”/Crosseyed And Painless/The Great Curve”. Lyrics are random, streams of consciousness, sometimes chanted, sometimes repeated, key phrases emphasised over an absolutely exhilarating backing. The pace or the rhythm never let up for a minute. A remarkable side of music, even now, some thirty-eight years later. For many, it is the hit single “Once In A Lifetime” that is the highlight of this album. For me, it is those three previous tracks. Maybe I have heard “Lifetime” a bit too many times. “Houses In Motion” is an understated but enigmatic and potent song, and “Seen And Not Seen” and the laid-back North African Sufi-influenced “Listening Wind” continue the more introspective, more lyrically perplexing and far less danceable old “side two”. Indeed, what has generally been a real “feel good” album ends on a real dark, sombre note with the spooky, intense and powerful “The Overload”. 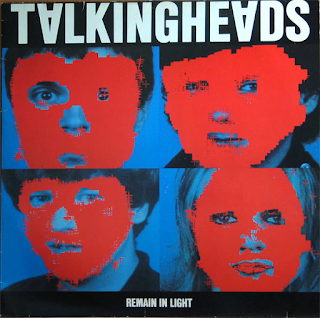 Apparently, Talking Heads were trying to imitate the post-punk sound of Joy Division on this one. 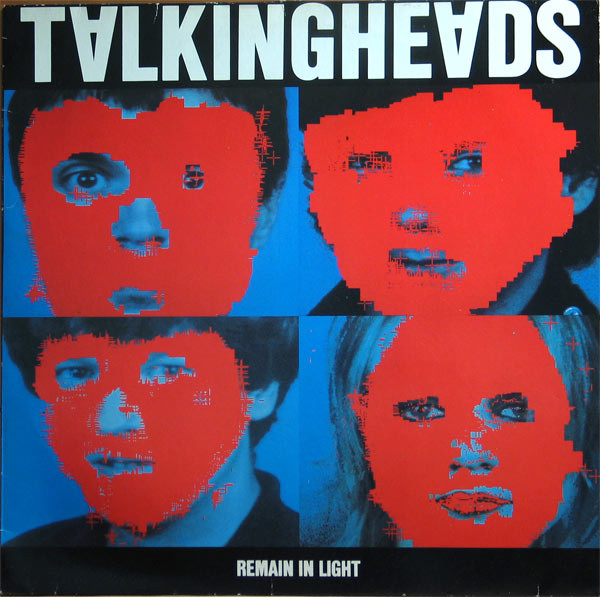 “Remain In Light” has been rightly praised ever since for praised its sonic experimentation, rhythmic innovations, and cohesive merging of disparate genres.